I was supposed to be getting showered at this point, getting an early night before work tomorrow but I found myself Youtube searching. I remember coming across this trailer a few months ago and seeing as I'm blog girl now I thought it would make an interesting post. This film is supposed to be out in March and directed by Catherine Hardwicke, who directed Twilight. I will definitely be seeing this film! It stars the beautiful Amanda Seyfried with her equally beautiful co-star Shiloh Fernandez. Forget the wolf - I want to eat him! 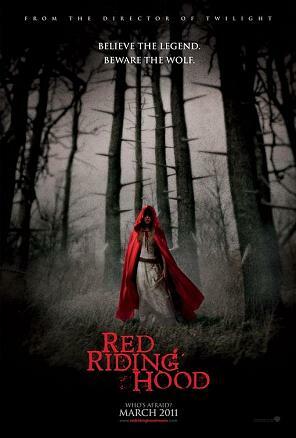 In "Red Riding Hood," Seyfried plays Valerie, a beautiful young woman torn between two men. She is in love with a brooding outsider, Peter (Shiloh Fernandez), but her parents have arranged for her to marry the wealthy Henry (Max Irons). Unwilling to lose each other, Valerie and Peter are planning to run away together when they learn that Valerie's older sister has been killed by the werewolf that prowls the dark forest surrounding their village. For years, the people have maintained an uneasy truce with the beast, offering the creature a monthly animal sacrifice. But under a blood red moon, the wolf has upped the stakes by taking a human life. I'm getting a lot of flack from my roommates, but I really do want to see this! The Grimm brothers know what's up!